The best thing that writing this blog has brought me is the opportunity to think. And one would think that writing a blog would be a introspective thing. However, I have been prompted to think in different ways by the interesting, talented and kind people who have agreed to do guest posts here. This blog is relatively new compared to some, and yet somehow a new world of interaction and thought has opened up since I began it. Some of you will know that this Christmas will be my first in new circumstances, that of a separated man. I will see my daughter, but the circumstances will be oh so very different. So I am gratified to present a heartfelt guest post by another of my esteemed twitter friends Lynne Collins (@lynneinPborough – follow her please and encourage her to write her own blog!). Her words make me think about Christmas, and what I feel it should be about. So thank you Lynne and Happy Birthday. 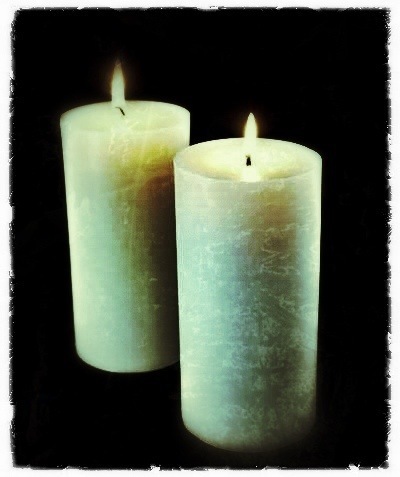 I shall light a candle for my Father, give a kiss to my daughter and remember to smile when it all seems difficult. And I shall wish Merry Christmas to all I encounter, including you, dear reader. I was a day early – why do I always have to say that? When people ask when my mum died my stock response has always been “My mum died two weeks before my 12th birthday”. It took me years to acknowledge what that meant. Mum died 2 weeks before Christmas. I’m not brilliant with dates and ages and I’ve just realised that next year will be 40 years since her death. I’ve drafted 2 novels, each have a death at the beginning. Lots of people talk to me when they are bereaved because I’ve carried the memories of what it was like for me for a long time. I’m not sure I’ve helped anyone though I can tell you what might happen if you don’t grieve at the time. I grieved for my mum nearly 20 years ago, not the forty as you might imagine. 20 years later it all came out. Spouting from every pore. How I never had a car crash or why any of my friends stayed with me I’ll never know but the hurt; anger; self torture; blame… I could go on but I won’t. I don’t talk to Mum as much as I do Dad, but I do, occasionally, particularly around Christmas. I remember her with great admiration and love and wonder how she’s doing. Next > A Lost Day or a Dream Come True?